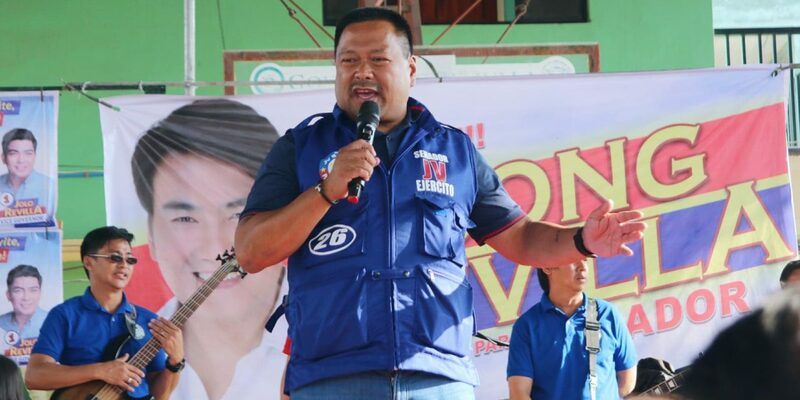 REELECTIONIST Senator JV Ejercito on Wednesday urged Overseas Filipino Workers (OFWs) to get vaccinated after the Philippine Consul in Hong Kong reportedly confirmed that 4 Filipino domestic workers were found infected by measles. “Now, more than ever, OFWs should strictly comply with vaccination requirements. The four infected OFWs in Hong Kong highlight the need for our health care to be more accessible to our contract workers abroad and Filipinos in general,” Ejercito said in a statement. Reports said the Philippine Consul in Hong Kong revealed that among the 30 people who were positive of measles infection, four were OFWs. 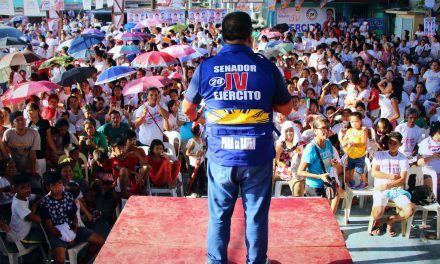 “An efficient vaccination program for OFWs would definitely protect them from health threats,” Ejercito said. “We must stop operating from a damage control mindset, but we should be proactive when it comes to health care. Huwag po nating hintayin na tayo’y magkasakit,” he said, adding that preventive health care is one of the essential thrusts of UHC. The UHC, spearheaded by Ejercito, is a law that makes all Filipinos covered by the National Health Insurance Program of the government. Early this year, Ejercito had urged parents to launch a “war on measles” by having their children vaccinated. “They (OFWs) must get themselves vaccinated against measles and other health threats that would compromise their well-being and their livelihood. Hindi madaling magkasakit lalo na kung malayo ka sa pamilya mo. Who will take care of you?” he said.